Will you Walk, Jog or Run 5K to support a Yes vote? We are hosting a beach run on Sandymount Strand to raise money for our national campaign to remove the 8thamendment from the constitution and improve the lives of women in Ireland. Will you join us? 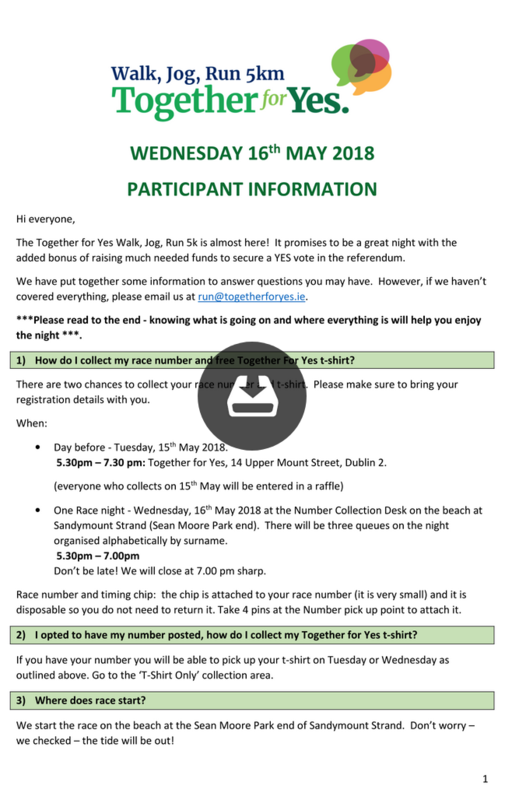 Entry Fee: €25 Registration – includes a free Together for Yes T-Shirt. The referendum is on May 25th – only a few weeks from now – and we need to do everything we can to secure a Yes Vote. Fundraise for Together for Yes by creating your own fundraising page and collecting sponsorship from family and friends for your 5K.